The first question one should have is: Why is this a picture of the backside? Well, I'm hiding something... so naturally next: Why are you hiding the front? So, you don't have to buy this! I'm one crazy guy and this is a pure reflection of that. 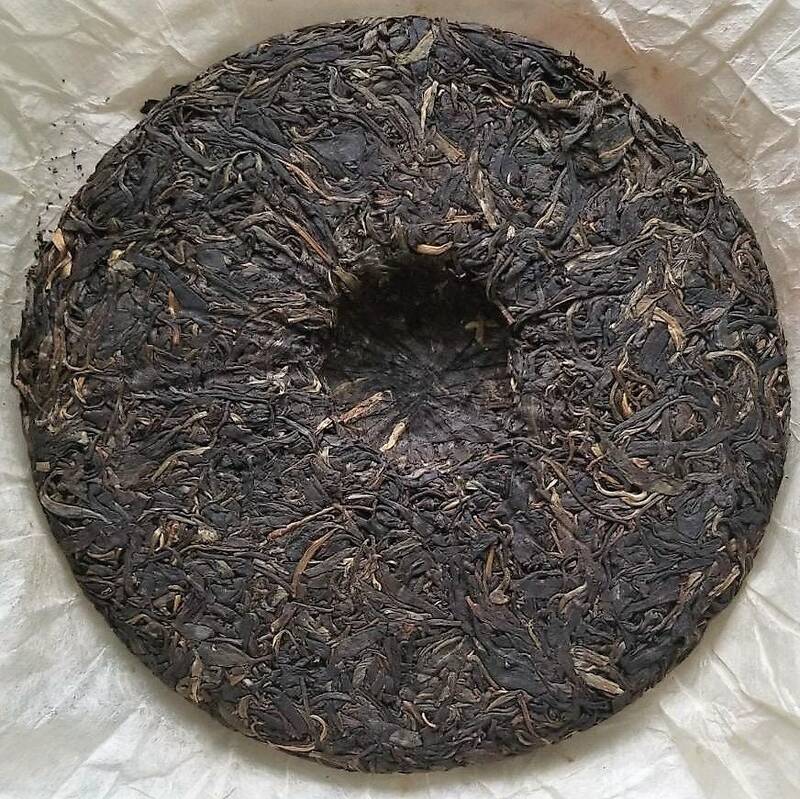 This cake is a blend of two areas and the leaf has a roasted profile to it similar to that of aged Wuyi teas. There's also a hint of chestnut in the background. This is a crazy sheng... and it's being offered as less than it should be, however I wanted to provide this experience to those who follow me so they get a great deal. If that's not your thing, that's fine! I've got plenty of great options in the shop with easier to access information. This is more of a thank you to the 11 people who pick a sample up. There will not be many other sheng out there that will be able to compare to the unique roasted oolong to middle aged sheng taste this puts out.